McCann Worldgroup Singapore has made two new senior hires, expanding the agency’s strategic capabilities and the bench strength of its planning team. Judd Labarthe (pictured left) has joined the team as the Regional Planning Director on the agency’s Mastercard business. In a career spanning account management, copywriting and strategic planning, he’s held positions of regional and global leadership with DDB, Ogilvy, G2 and Grey, in the US, Europe and Asia. He also founded the consultancy ‘Planner At Large’, focused on creative turnaround marketing, startup mentoring and effectiveness consulting. Brands Judd has helped to grow include Budweiser, Westin, Philips, Volkswagen, Leica, Havana Club, Ballantine’s Finest, the Berlin Philharmonic, Nestlé, Dove, DBS and Panadol. A member of Effie Worldwide’s advisory board since 2008, Labarthe has helped his clients and colleagues win over 60 Effie awards, and was instrumental in launching Effie programs in Malaysia and Sri Lanka, as well as the APAC Effie. He is a frequent judge of Effies and other effectiveness awards at the national, regional and global level, including Effie’s 50th-anniversary “5 for 50” competition. 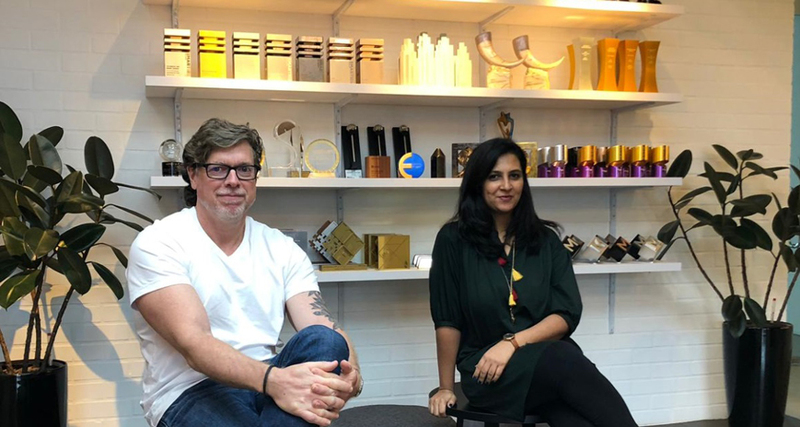 Also new to the Singapore office is Manasi Trivedi (pictured right), who has relocated from McCann Worldgroup Indonesia, where she was previously Planning Director. She brings 13 years of experience across agencies including McCann, Ogilvy, Saatchi & Saatchi and Y&R, in Indonesia, India and the USA, and will be focusing on Mastercard SEA in this new role. A multi-winner of the WARC Asian Strategy Prize, Trivedi has worked across various categories ranging from beauty, finance, automotive, to technology and FMCG, with a wide roster of brands such as, L’Oreal, Wyeth Nutrition, Nestle, Cigna, Perfetti, Lenovo, Starbucks, Burger King, IBM and General Motors. Driven by a passion for uncovering deep cultural insights, Trivedi co-founded a collective online storytelling experiment called ‘Dsplaced’ that curates people’s evolving idea of ‘home’.